I’m currently reading The King Jesus Gospel: The Original Good News Revisited by Scot McKnight*, in which he notes that one chapter of I Corinthians forms the basis of much of The Nicene Creed. I thought it would be different to reproduce it here from The Voice Bible**, but instead of presenting the full chapter, we’ll focus just on the verses McKnight highlights as comprising three sections: verses 1 and 2, 3 to 5, and 20 to 28. Let me remind you, brothers and sisters, of the good news that I preached to you when we first met. It’s the essential message that you have taken to heart, the central story you now base your life on; 2 and through this gospel, you are liberated—unless, of course, your faith has come to nothing. 3-4 For I passed down to you the crux of it all which I had also received from others, that the Anointed One, the Liberating King, died for our sins and was buried and raised from the dead on the third day. All this happened to fulfill the Scriptures; it was the perfect climax to God’s covenant story. 5 Afterward He appeared alive to Cephas[a] (you may know him as Simon Peter), then to the rest of the twelve. 20 But the Anointed One was raised from death’s slumber and is the firstfruits of those who have fallen asleep in death. 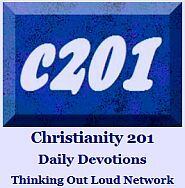 21 For since death entered this world by a man, it took another man to make the resurrection of the dead our new reality. 22 Look at it this way: through Adam all of us die, but through the Anointed One all of us can live again. 23 But this is how it will happen: the Anointed’s awakening is the firstfruits. It will be followed by the resurrection of all those who belong to Him at His coming, 24 and then the end will come. After He has conquered His enemies and shut down every rule and authority vying for power, He will hand over the Kingdom to God, the Father of all that is. 25 And He must reign as King until He has put all His enemies under His feet. 26 The last hostile power to be destroyed is death itself. 27 All this will happen to fulfill the Scripture that says, “You placed everything on earth beneath His feet.”[f] (Although it says “everything,” it is clear that this does not also pertain to God, who created everything and made it all subject to Him.) 28 Then, when all creation has taken its rightful place beneath God’s sovereign reign, the Son will follow, subject to the Father who exalted Him over all created things; then God will be God over all. *Newly released in a revised edition in paperback from Zondervan. **McKnight does not use The Voice Bible in his work. Sections in italics in The Voice Bible are supplemental and not found in original documents; this translations adds significantly to create flow of the narrative. The use of italics for this type of addition originated with the KJV. If Solomon were alive today he might well be more accurate to say that of the writing of Facebook posts, blog articles and Tweets there is no end. Literacy is waning, attention spans are decreased and the time and money available for purchasing reading materials is being diverted to tech-based pastimes. Rather than abandon ship, a number of people are producing materials aimed at keeping us interested in what’s on the printed page. As you’re reading more recently produced resources you’re likely to see a greater use of colors, varied fonts, sub-headers and sub-sub-headers and call-outs, those little boxes of reiterated text at the side of the page intended to draw attention to particular sentences (sometimes referred to as pull-quotes). In the world of Christian publishing we find for example, Rose Publications providing what I call “fast facts for a bullet-point world” — they’re welcome to use that phrase — in a series of about a hundred laminated pamphlets, not dissimilar to the laminated charts you used in college science courses when there wasn’t time to read the textbook. Church history, The Temple, The Feasts, The Prophets, teachings on Baptism, translation comparison, the Fruit of the Spirit, the Armor of God and the Names of God are just a few of the many titles that condense information for those who just want the Cliffs Notes on a given topic. Into this arena steps Visual Theology: Seeing and Understanding the Truth About God by Tim Challies and Josh Byers (Zondervan, 2016). Because you’re reading this on your computer or phone, the Challies brand should be familiar to you. 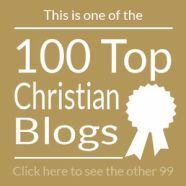 Despite originating in Canada, challies.com ranks in the top ten on many U.S. lists of the top Christian blogs, spurred on greatly by the predilection of his neo-Reformed, New Calvinist tribe to be among the most active online. Publishers pay real money to run “sponsored posts” on his blog; his Amazon referrer income is probably the envy of thousands of other bloggers; and as we found out one time, a simple mention on his à la carte daily link list can send daily reader stats skyrocketing. It’s no surprise that as a result of his blog, subtitled “Informing the Reforming,” he is now able to write full-time. Never one to be content with past accomplishments, Tim Challies continues to re-invent the blog with a now daily quotation graphic, and a few years back introduced a number of info-graphics by Iowa communications pastor Josh Byers. While these form the distinctive element of Visual Theology and were certainly the backbone of the book’s elevator pitch, it’s the ones done as flowcharts that I think are most engaging, especially the two-pager (pp 96-7) on How To Put Sin to Death. with two or three chapters for each. The actual text sections — and despite the liberal use of color there’s more text here than I may be describing — are written in fairly plain language including some helpful illustrations from the author’s experiences. This is a book that non-readers — a group especially encompassing teens, twenty-somethings and males of all ages — would find very accessible. Additionally, Visual Theology is a great resource for either the person wondering, ‘What does it mean to be a Christian?’ or the person whose current status is more of, ‘I’ve just made a commitment to become a Christian, so what do I need to know or do next?’ In terms of elementary things the Christ-follower needs to know, the book is no doubt indebted to Systematic Theology by Wayne Grudem (who also writes the foreword) and other books of that genre, but without the dryness or clinical treatment that sometimes accompanies Christian academic or reference works. Remarkably, the book is mostly denominationally neutral. 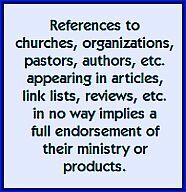 Though the footnoted sources betray Challies’ roots and preferences (Tim Keller, Dane Ortland, R. C. Sproul, C. J. Mahaney, John Owen, etc.) I was impressed by the doctrinal evenhandedness the book presents. True, my Anglican friends would cringe at the suggestion that ordinances means the same as sacraments, but I actually appreciated the inclusion of both terms. In the author’s hometown, there is a congregation that advertises themselves as, “a church for people who aren’t into church.” Well, this is a book for people who aren’t into books. A gospel primer for adults, if you will. Considering the graphic design and printing process that went into creating this book, the 156 page paperback is a steal at $17.99 US; and for the nerd in the family, the books of the Bible listed in the style of The Periodic Table of Elements is worth the price of admission. Thanks to Mark at HarperCollins Christian Publishing Canada for much-appreciated copy of Visual Theology which, if I loan it out to friends, I will probably not get back!